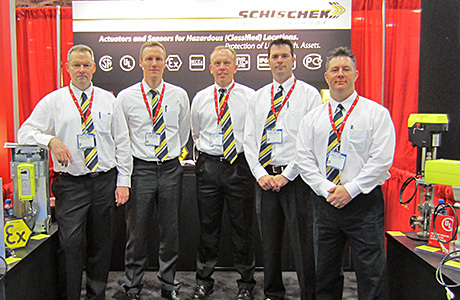 Schischek Explosionproof participated first time at the AHR EXPO in the United States under their mission: Schischek Explosionproof – Protection of Life. Health. Assets. The AHR EXPO is the leading exhibition in North America for the HVAC market (Heating Ventilation AirConditioning) / building automation and all related experts and companies in this area participated or even visited this event in Dallas this year. The target was to introduce Schischek now after years only with an actuator portfolio as partner for all needs in classified location solutions in HVAC. 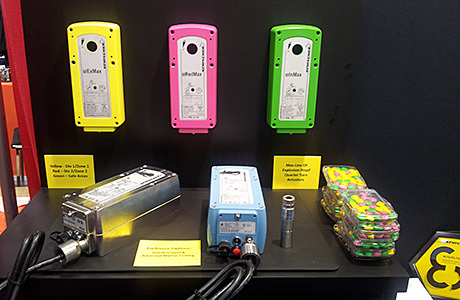 Therefore the full product range, starting from Sensors, Switches and Transmitters was shown, named ExBin and ExCos. In addition to that also the famous range of ¼-turn explosionproof acutuators ExMax as well as linear valve actuators for HVAC applications, the ExRun and ExLin series, were displayed. 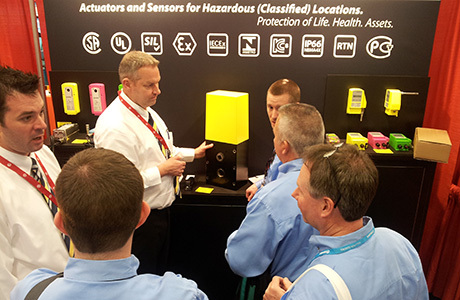 Armin Nagel, Director of Sales and Member of the Board, and his entire US sales team summarized the participation at the AHR 2013 as a full success. The further increasing of brand awareness in the North American market, the valuable discussions with customers and potentials on the exhibition booth and the generated leads as well as sales opportunities were on a very high level.